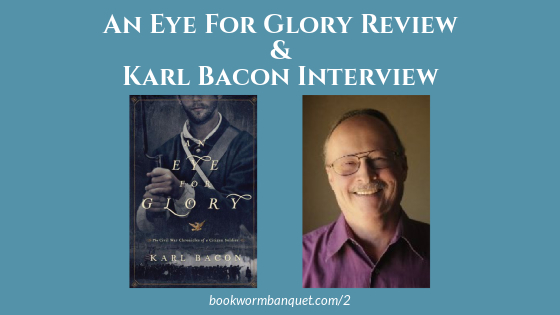 In this episode, JD and Nicole review and discuss Karl Bacon's fantastic historical novel entitled An Eye for Glory: The Civil War Chronicles of a Citizen Soldier. This is a thoroughly enjoyable book that we highly recommend. JD also speaks with the author, Karl Bacon, about his writing career, An Eye for Glory, and what may be coming next. Nicole shares another Bookworm Fact and then they respond to listener feedback from Max. Thanks to Zondervan for providing a free copy of this book for us to review. Nicole's Bookworm Fact is about Emily Dickinson. "Chartless" by Emily Dickinson can be read here. Check out this dramatic reading of "Chartless".